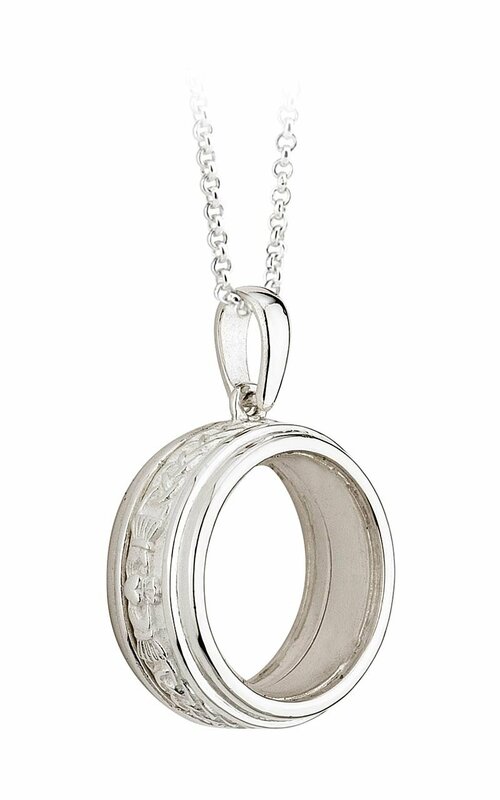 This lovely Irish Necklace has a sterling silver 'Celebration' pendant beautifully embossed around the outside in a Claddagh and Celtic design. The pendant can hold up to 8 small charms or a combination of up to 1 large and 5 small. Charms available separately. Comes in presentation box with 18" chain. Made in Ireland by Solvar and hallmarked by the Assay Office in Dublin Castle.